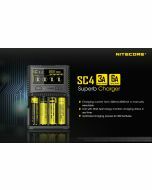 The NEW i4 is compatible with 1.2V, 3.7V, 4.2V and 4.35V batteries. 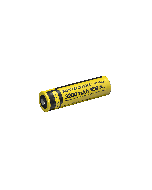 You can almost charge all kinds of cylinder batteries you can have without buying extra chargers. By simple operation with the V button you can easily set charging voltage in each slot independently, including the 3.7V charging voltage that is good for long-term Li-ion battery storage.